American Waterjet Cutting supports the local community by donating services and funds. School signs, shop materials, and allowing site visits, along with donations to community events. We believe it is essential to support the community and education. 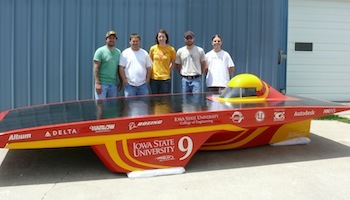 We also support the Iowa State Solar Car project, Team PrISUm. 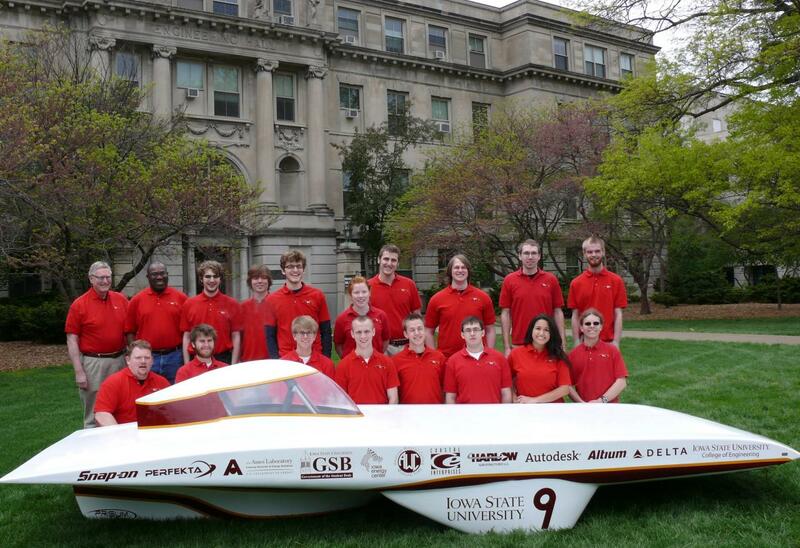 With the success of the solar car, we have extended our support to the Iowa State SAE Formula car, robotics club, among other groups. Thanks to Galen Thomson at American Waterjet Cutting in Winfield, Iowa, Team PrISUm was able to have carbon fiber bulkheads for the car's body precision cut instead of cutting them by hand as had been done for previous cars. This will result in improved strength, better overall appearance, and significant time savings as the team works to finish the car. At the same time, we cut the profiles for the rear suspension arms and MDF board for the electronics enclosure mold. American Waterjet Cutting has been a big supporter of our team over the years and we appreciate their continued commitment. To check out their Flickr page click here.